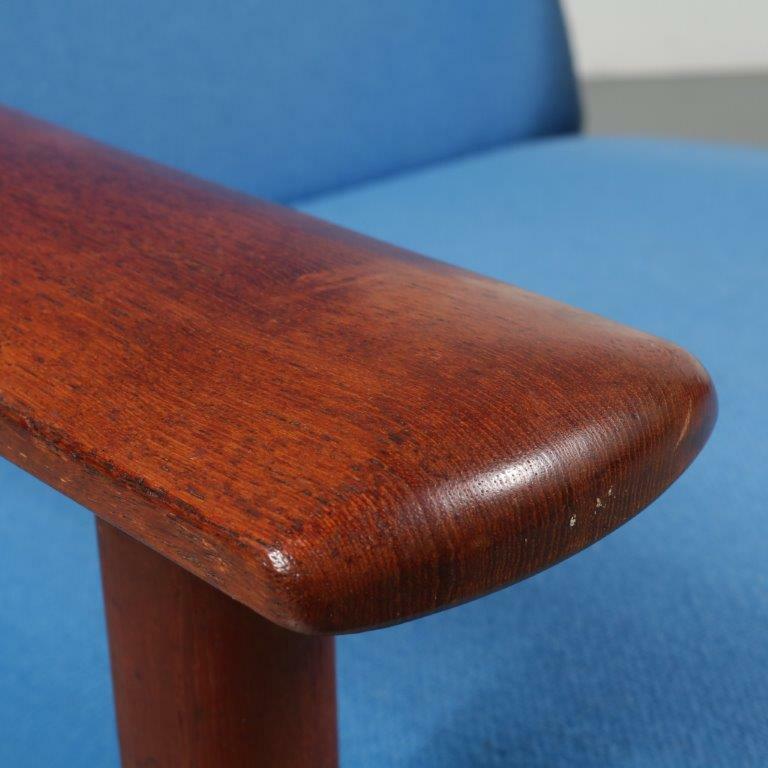 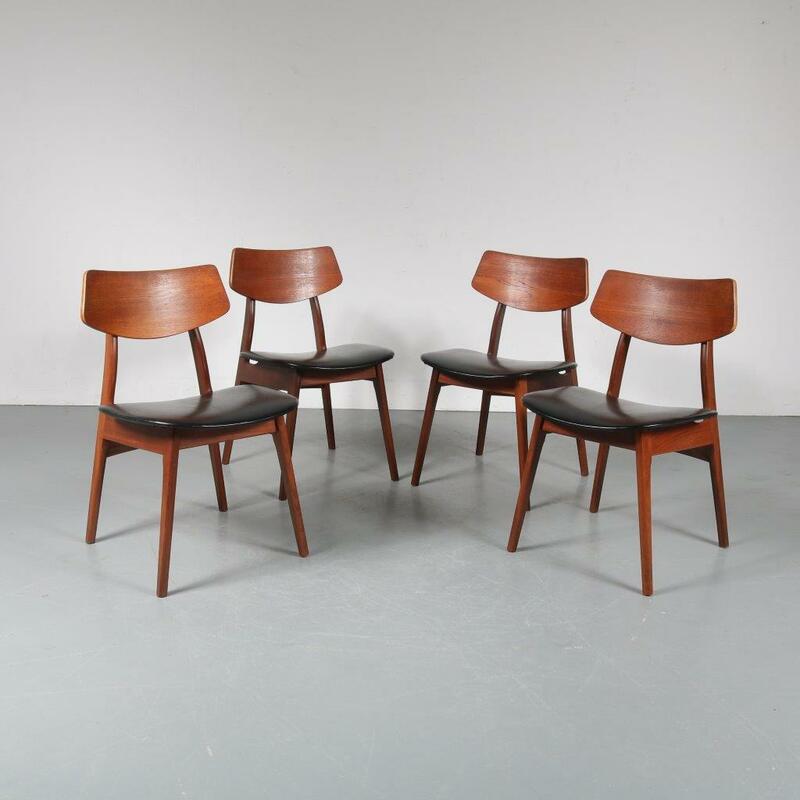 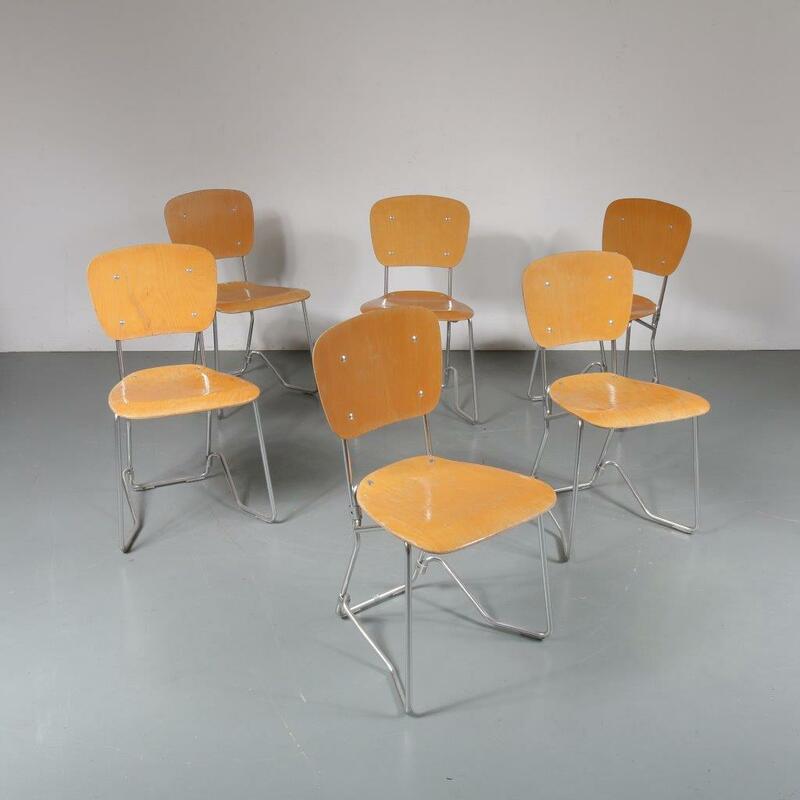 This beautiful vintage chair is made of high quality, warm brown teak wood. 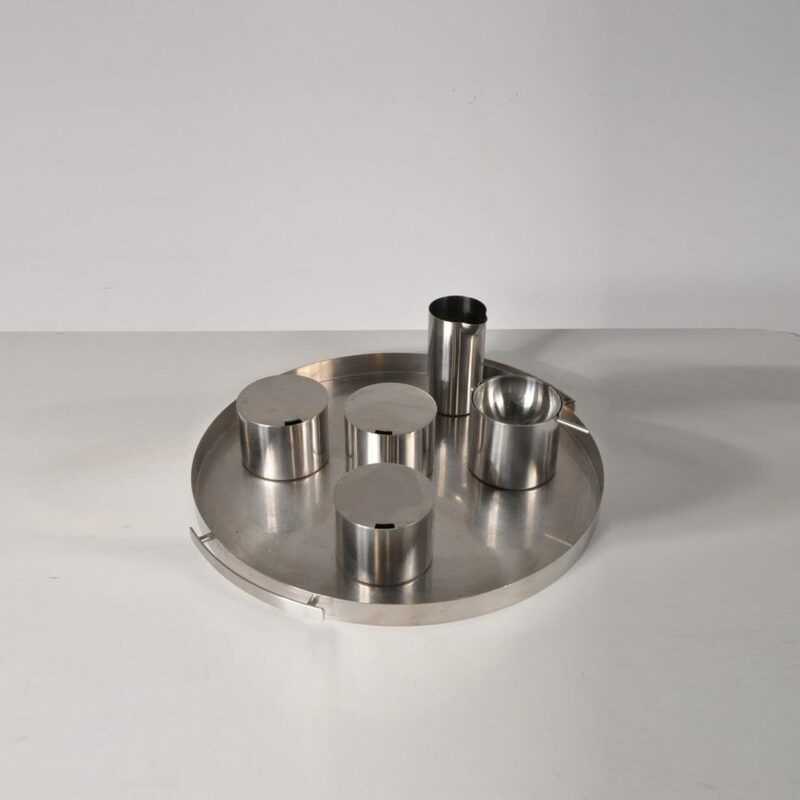 It is designed with straight shapes, creating a very modern style for the piece. 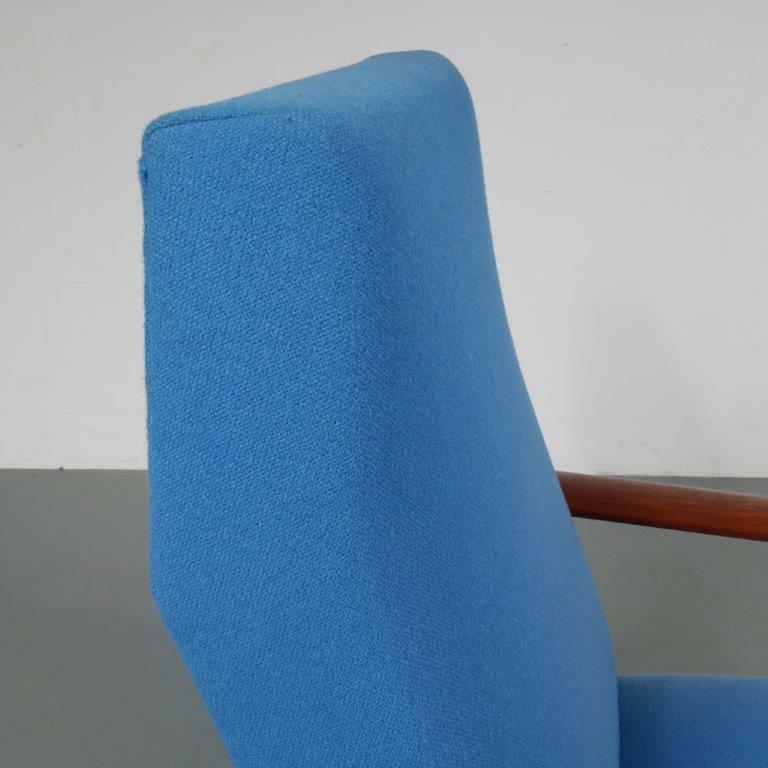 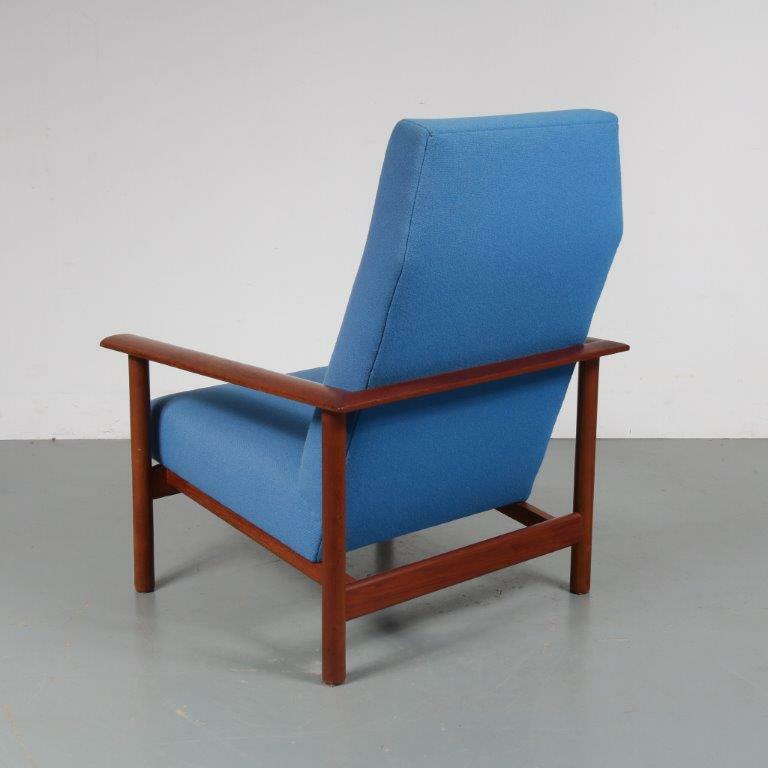 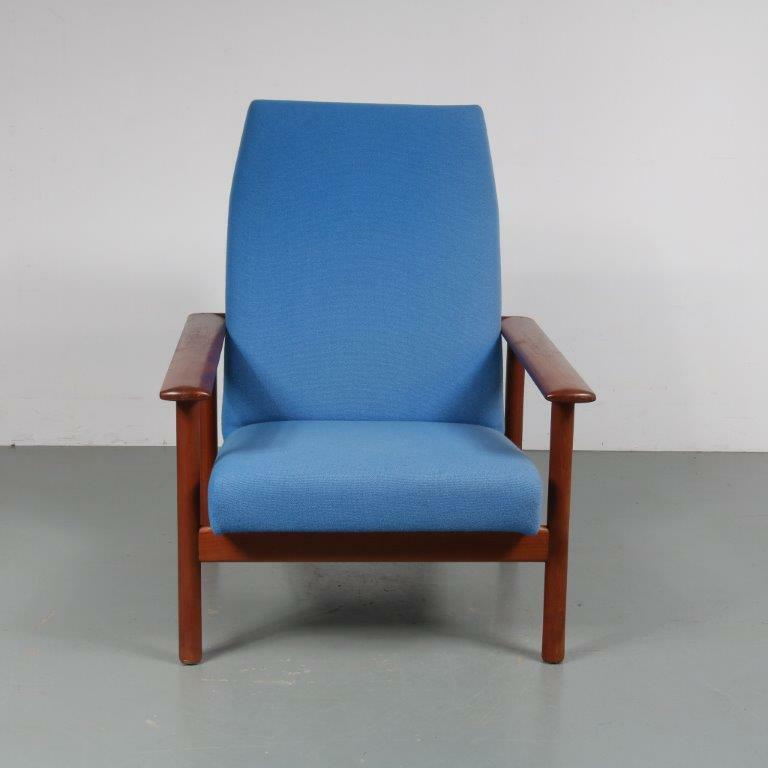 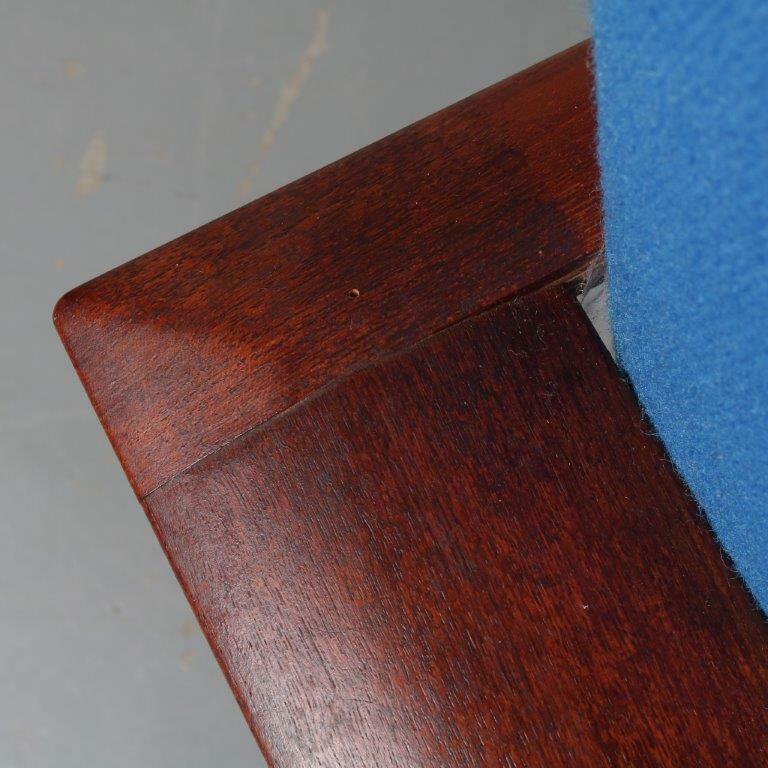 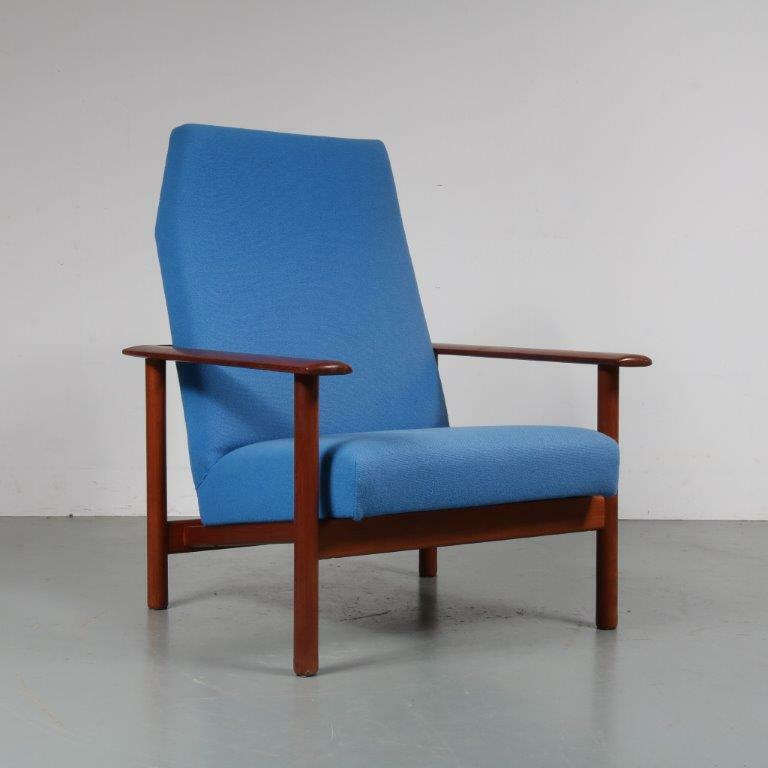 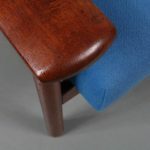 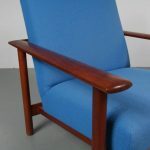 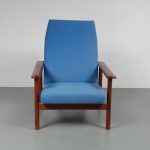 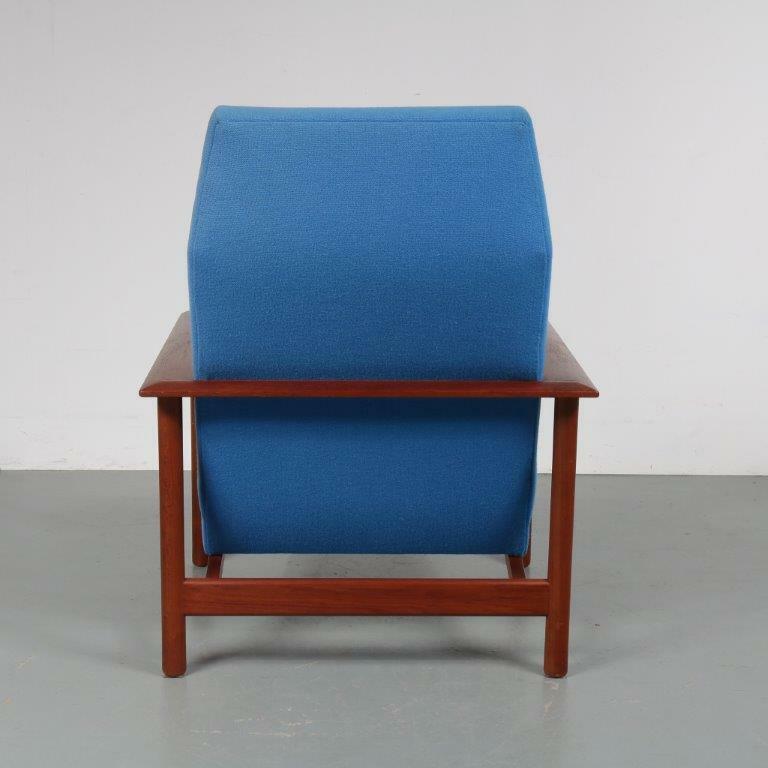 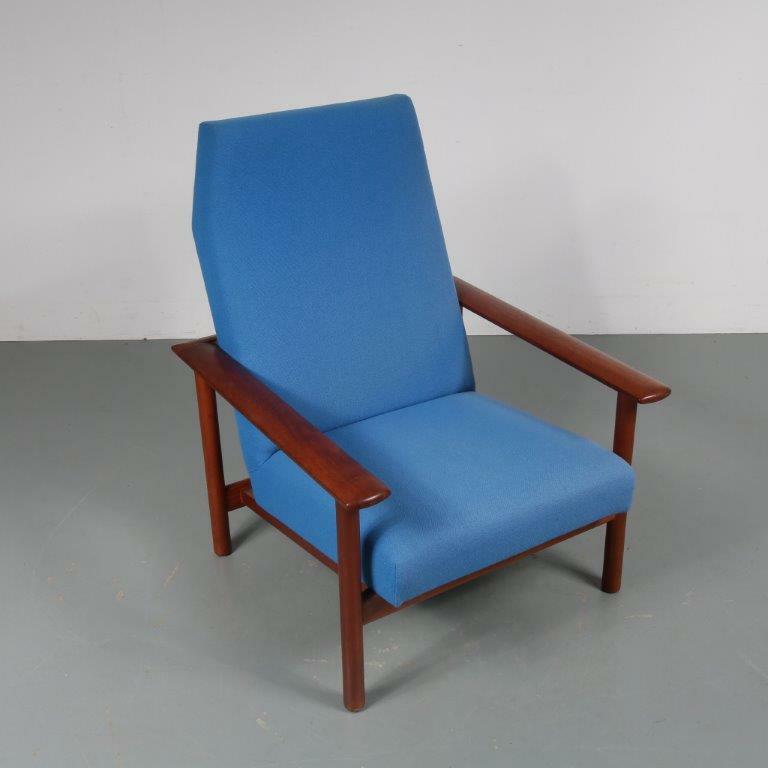 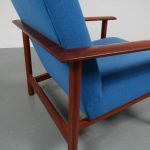 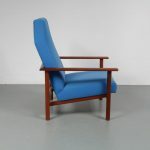 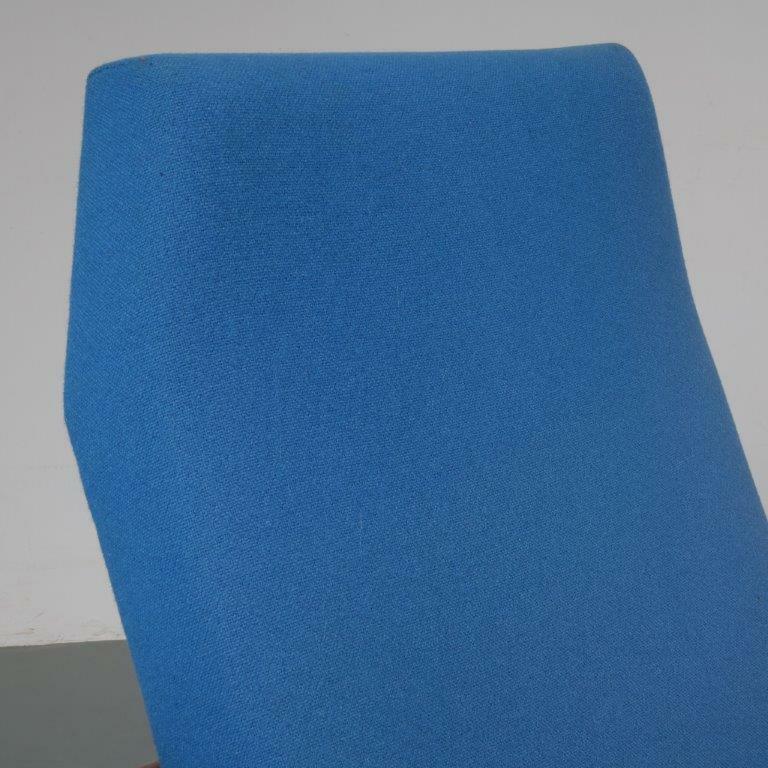 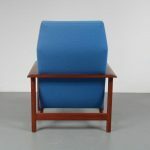 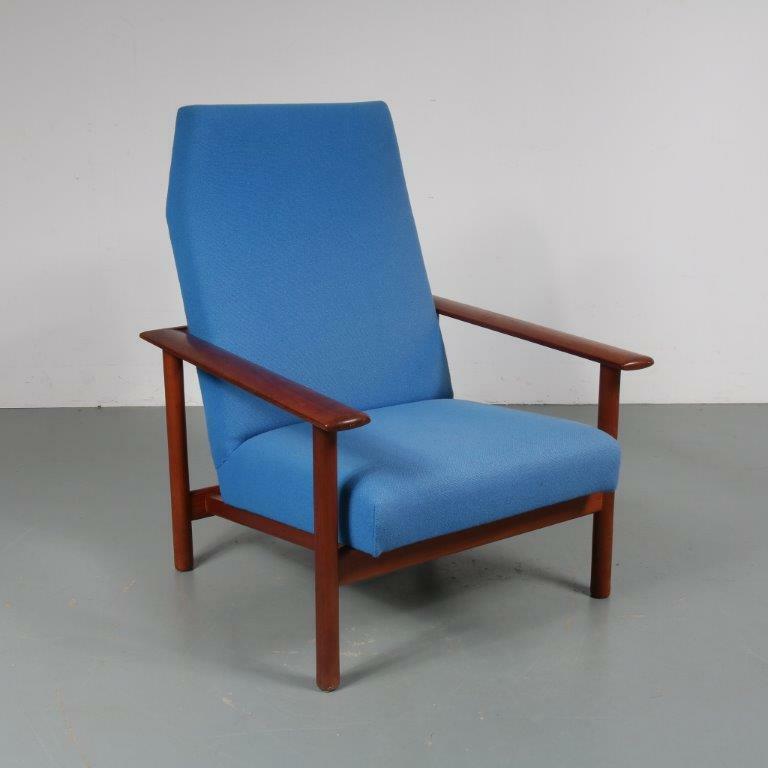 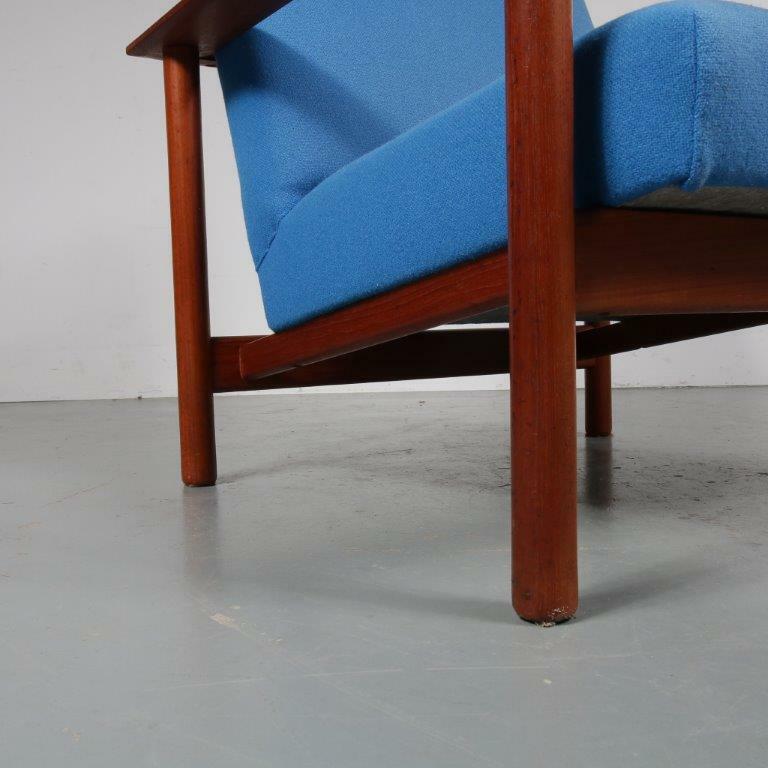 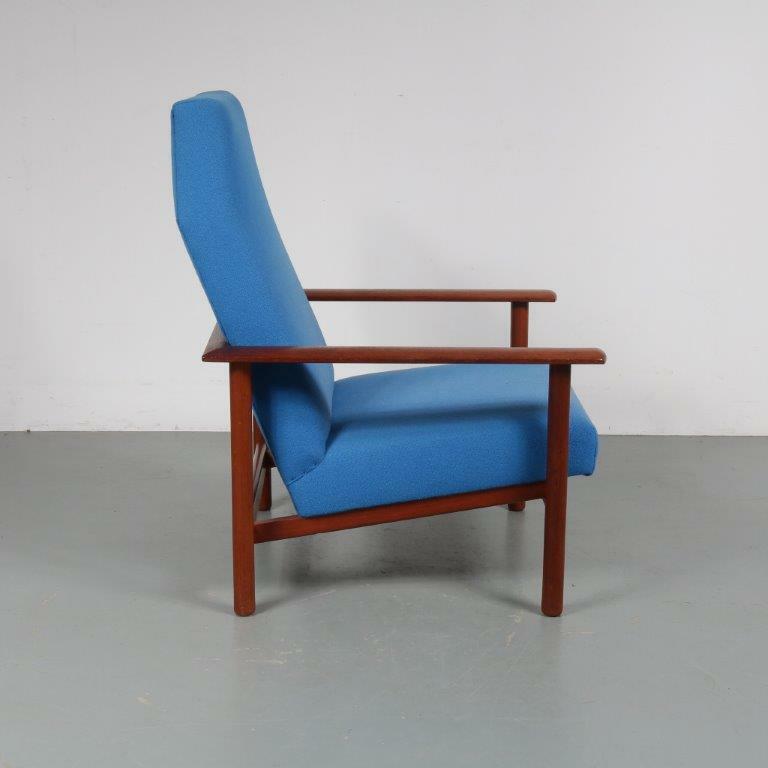 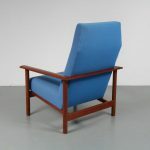 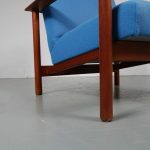 The blue fabric upholstery of the comfortable seat combine nicely with the wooden structure. 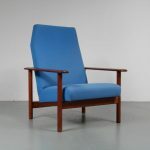 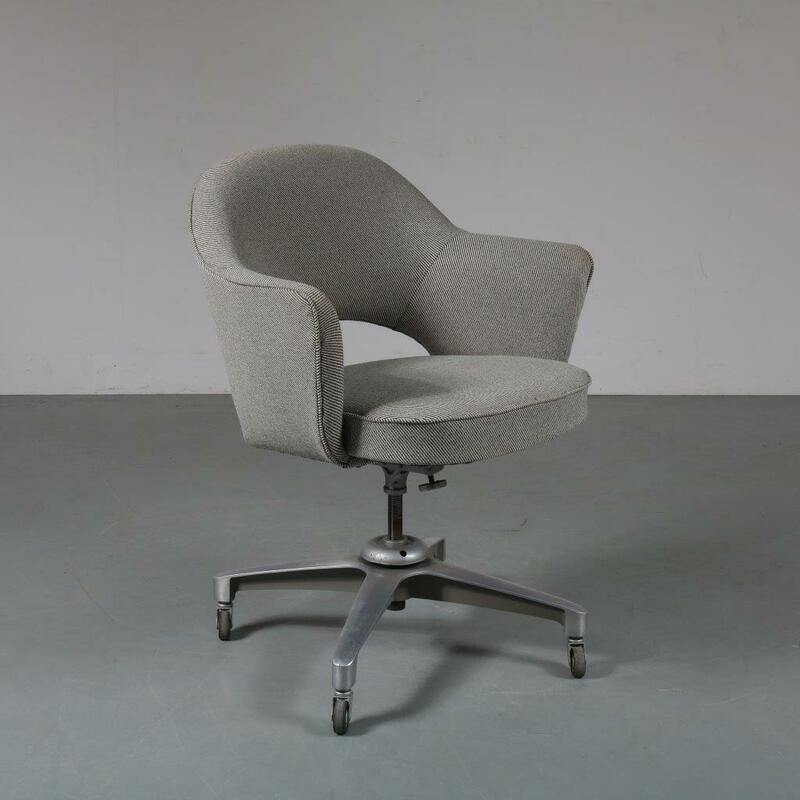 This is a typical peice of Scandinavian design, adding a nice warmth to any interior. It remains in good, vintage condition with minor wear consistent with age and use, preserving a beautiful patina.